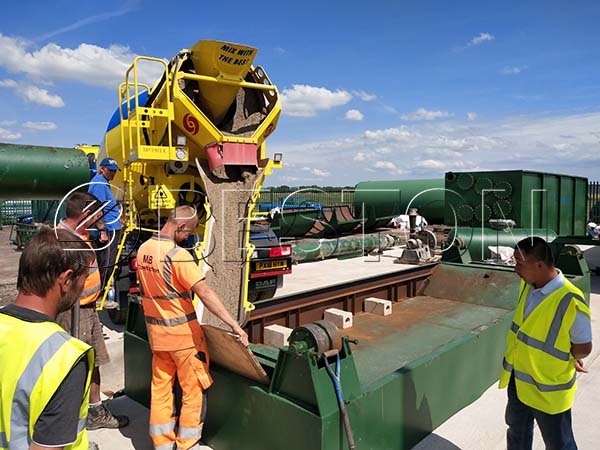 Beston waste tyre pyrolysis plant in the UK is under construction. Our engineers arrived to help with the installation last week. The profitable tyre recycling business plan is just around the corner. Here are some pictures on site. BLJ-16 is a semi-continuous pyrolysis plant, which can process about 20 ton of raw materials, including old tires, waste plastic, etc. Because of the advantageous features, such as affordable price, easy operation, etc., it is very popular among investors. Except for the waste tyre pyrolysis oil plant in the UK, we also installed a BLJ-16 tyre pyrolysis plant in Brazil and Jordan before. Beston Machinery is an experienced pyrolysis plant manufacturer. 1. Automatic feeding system. BLJ-16 is equipped with an automatic feeding system, including the tire shredder. 2. Automatic discharging system. With the automatic discharging system, the pyrolysis plant is easy to operate to save your labor force costs. 3. Totally sealed. Our pyrolysis reactor is sealed to reduce the odor or dust. Meanwhile, it is safe for workers. 4. Energy saving. The data from our customers indicated that Beston waste pyrolysis plant can save 20%-30% of energy for you. 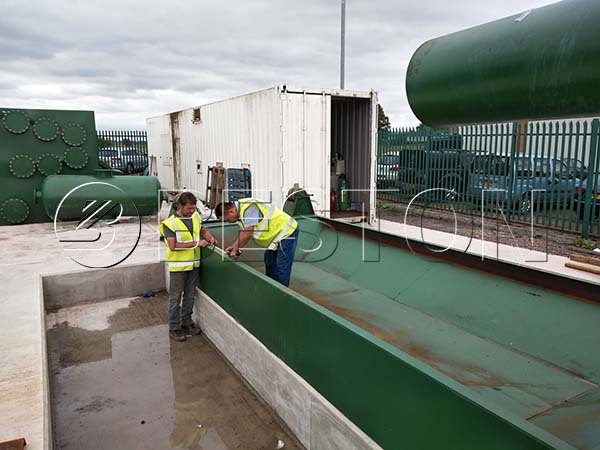 Moreover, our waste pyrolysis equipment is under a 1-year free guarantee. And during its service life, say 8 to 10 years, we will keep tracing maintenance. Except for the semi-continuous plant, we can also supply fully continuous waste tyre pyrolysis plant, as well as batch pyrolysis plant. Welcome to contact us for more details.